Comic Con. That magical place where one gets to meet people who share their passions and see their idols up close. 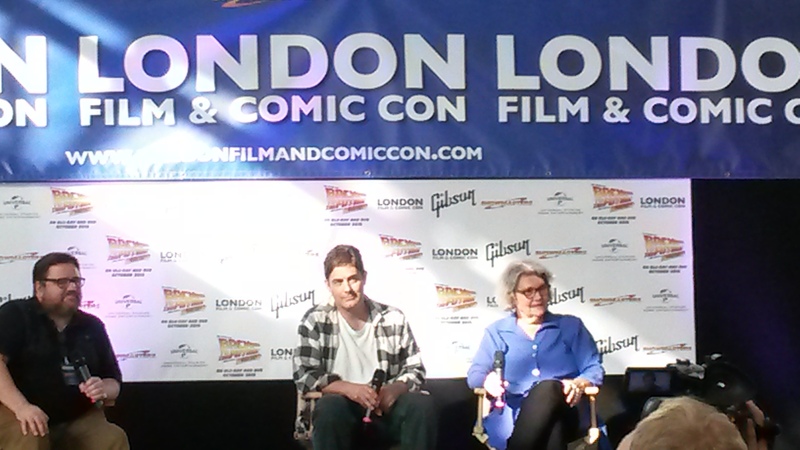 For the 2015 summer edition, the London Film and Comic Con has grown bigger. Earl’s Court wasn’t enough, so they have moved the party to the Olympia, with three different levels to cover the grandiosity of such an event. Now, I was only able to go to LFCC on Friday, but I got to catch a glimpse of everything and I can give a succinct review of what I saw. For starters, the location. As I have mentioned above, the new location has given way to a greater variety of people, booths and artists to showcase what they have to offer, which has its good and its bad things. 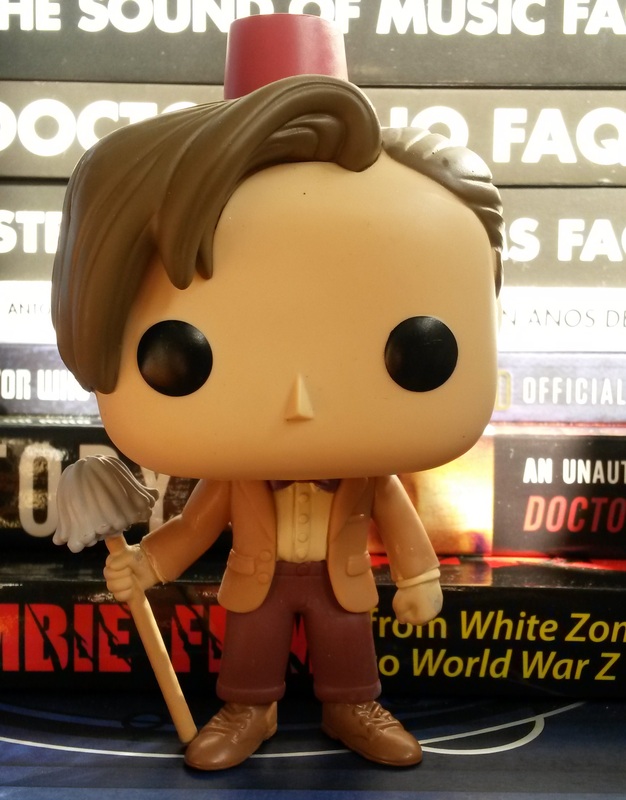 Good because I was on a quest to find the Funko Pop Vinyl special editions of the Tenth, Eleventh and Twelfth Doctors (and I succeeded!) and bad because the venue is so huge that the organisation should have distributed guides or leaflets with a map to keep track of everything –and they didn’t. Of course, one of the biggest attractions of LFCC was the cast of Back to the Future, celebrating the 30th anniversary of the classic. Showmasters created a fundraising campaign called “Up to 88!” to collaborate with The Michael J. Fox Foundation. 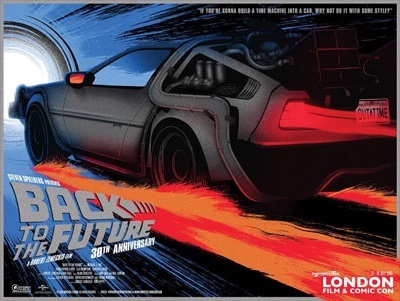 They sold some lovely BttF toys and, if you donated money, you were given a special LFFC poster of the movie. Between booths, I got the chance to see some interesting panels. Zach Galligan and Frances Lee McCain talked about another classic from the eighties, Gremlins, and discussed the possibilities of remakes or reboots and shared some memories from the set. Afterwards, it was time for the horror panel with Ken Kirzinger, Tom Savini, J. LaRose and Darren Lynn Bousman. They discussed the horror movies that influenced them as kids and talked about their many roles over the years, but I want to choose two anecdotes Bousman told: the first one is his bold journey across the States to pay cinemas to show Repo! when Lionsgate wouldn’t spend money to distribute it, and the second one was the moment when he acknowledged that it had come to the point where he couldn’t tell from which Saw movie a scene or another was. But let’s forget about all of this, because for me, one of the biggest and most pleasant surprises was the YALC area on the second floor. Now, YALC stands for Young Adult Lit Con, and the atmosphere surrounding it was one of such peace and calmness and happiness that at one point it made me not want to come back to the lower floors. Everything seemed so organised and chill compared to the craziness of the other part of the Comic Con that I just wanted to live there forever. Plenty of book stands to get lost in (I quite like YA books, and I currently sort of work for a place that deals with them and where I basically get to read them all). There was even one with chocolate cake! Heaven. My only regret is this: I applied for a press pass for me and my Comic Con writing colleague back all the way back in April, as we always attend this events and write about them and we have always been given passes. Unfortunately, we were informed that we had been denied a press pass due to the high volume of applications less than a week before LFCC began (instead of at least a few weeks earlier), so by the time we were in the position of having to buy tickets, the Saturday ones were obviously sold out. This means I am not able to attend the Doctor Who, Game of Thrones and Marvel panels, three of the main topics I write about in this blog… I just hope that next time we are told in advance, because I love Comic Cons and writing about them. But I also managed to find my Tenth Doctor with 3D glasses, so I had the bitter with the sweet! Those Doctors look too adorable together. Some very excellent purchases, I’m going to keep focusing on the positives because I’m SO not sore about not getting a press pass or anything….